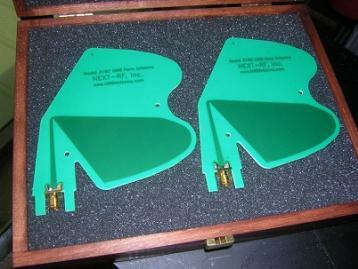 Next-RF's 310C UWB Horn Antennas are a compact, low-cost, high-performance alternative to standard gain horns. 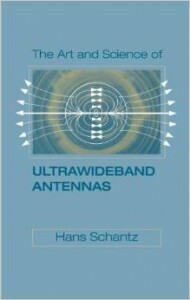 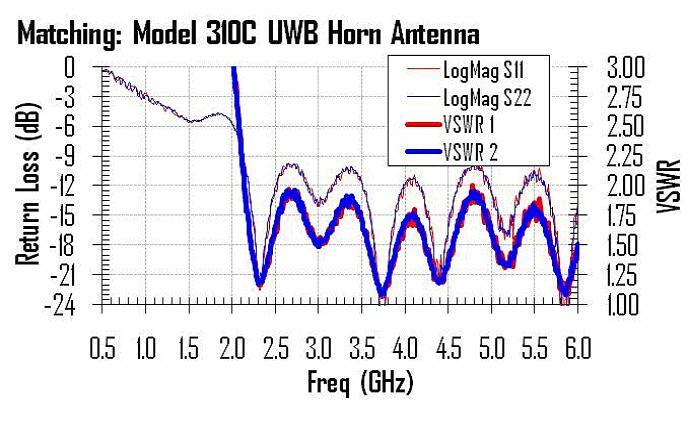 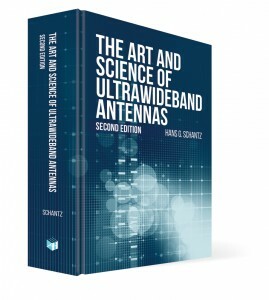 The 310C UWB horn is well-matched (VSWR better than 2:1) for frequencies above 2.2 GHz. 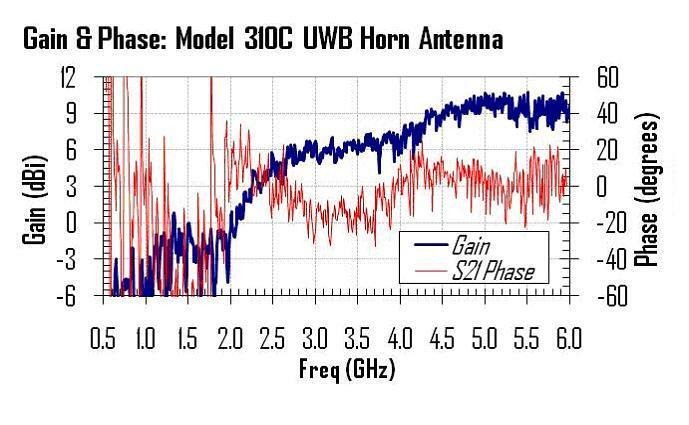 The 310C UWB horn has gain around +6dBi at 3GHz increasing to +9dBi by 6GHz with linear phase.